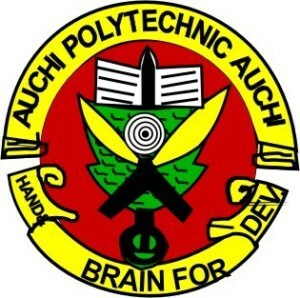 Auchi Polytechnic (AUCHIPOLY) Higher National Diploma (HND) and Professional Diploma (PD) Programmes Admission Screening Time-Table, Dates, Time and Venues and Admission Screening Requirements for 2018/2019 Academic Session. This is to inform all the candidates that applied for the Auchi Polytechnic (AUCHIPOLY) Higher National Diploma (HND) and Professional Diploma (PD) programmes admission that the management of the institution has released the screening timetable and requirements. Applicants should note that their application number will be used to login as username and password during the CBT. Evidence of payment for the Application form and screening. Two (2) copies of printed Application form. NOTE: Candidates are to report at the designated venues stated above for screening and Computer Based Test (CBT), by 7:00am on the scheduled dates and should be decently dressed. Also, Applicants should note that their Application Number will be used to login as username and password during the CBT.